The weekend is almost over and another work week is about to begin! Today I’ve been super busy in the kitchen making all kinds of goodies for the blog, being I’m only able to get things made on the weekends. 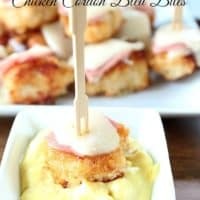 Here is just one of the recipes I came up with … Chicken Cordon Bleu Bites! Oh yum! These little crispy, crunchy bites of deliciousness are so tasty and would be a great little appetizer to serve at your next gathering, or game day party! 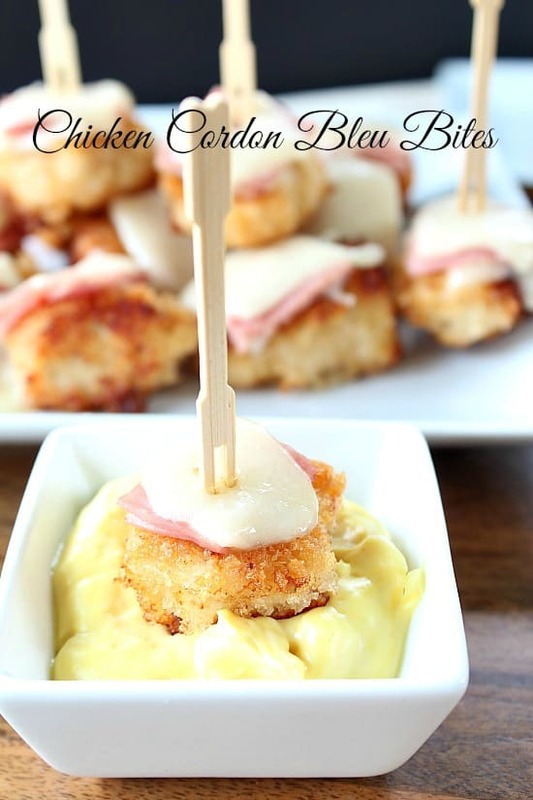 These chicken cordon bleu bites are super crunchy and can be a meal in itself. 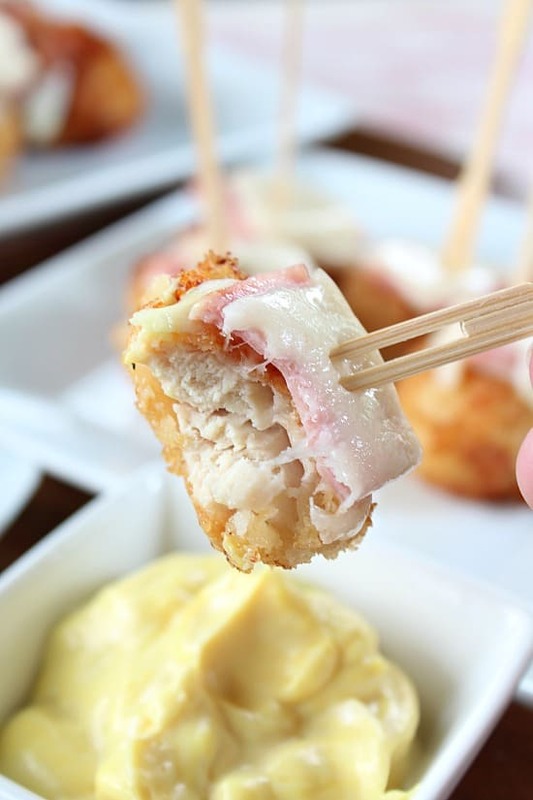 The dipping sauce is so simple to whip up and just adds to the flavor of these chicken bites. Don’t you just want to bite into these crunchy little bites? They are so tasty! This recipe doesn’t take long to make and could be on your table in no time. Your family could be enjoying these crispy delicious morsels tonight. 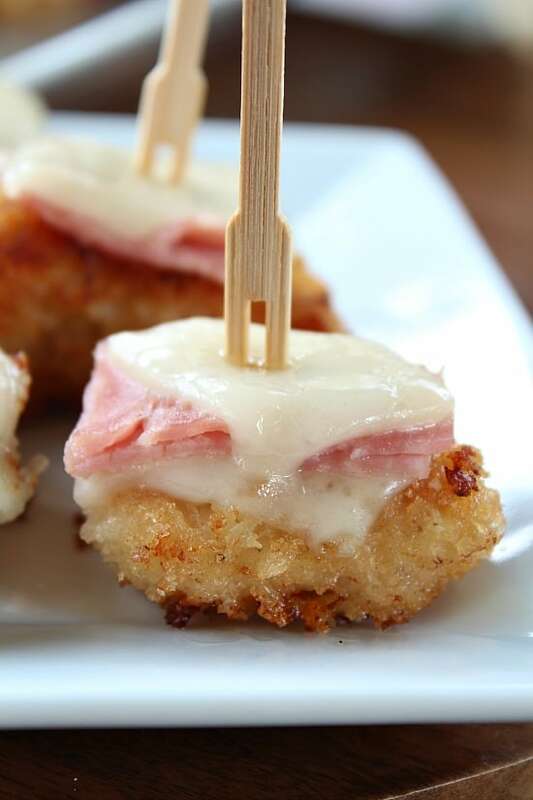 Try these chicken cordon bleu bites the next time you want a tasty little snack. This appetizer will be gobbled up in no time. They’re that good! What is your favorite appetizer to make, eat and take to parties? Please share your favorites in the comment section. I’d love to hear what you all love! 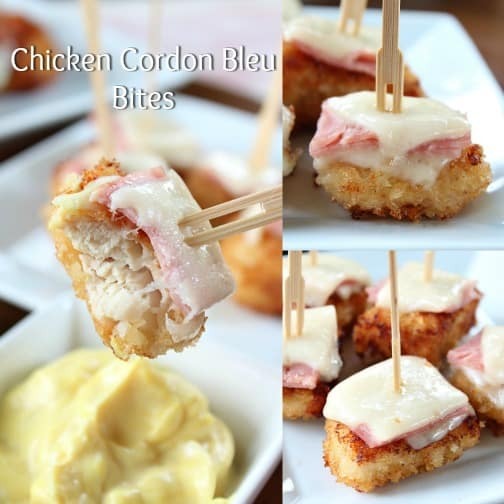 Try these chicken cordon bleu bites today! Here are a few more appetizers you can find on the blog: BBQ Smoked Sausage Bites, Fried Dill Pickles, Pineapple Meatballs, and Jalapeno Cream Cheese Dip plus many more. Heat oil over low/medium heat. Add flour, seasoning, garlic salt to a quart size baggie. 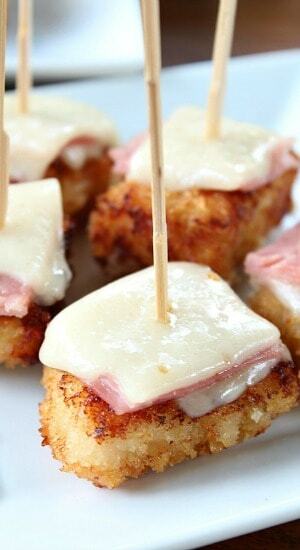 Cut chicken breasts into bite size pieces. Dip each chicken piece into milk to coat, then add to flour mixture. Shake chicken until well coated. Remove each piece and dip in milk again. Add to Panko® bread crumbs. Gently shake chicken pieces to coat. Add coated chicken bites to hot oil. Cook approximately 7-9 minutes on each side, or until cooked completely and temperature reaches 170°. Drain oil from pan. Arrange chicken bites back in pan. 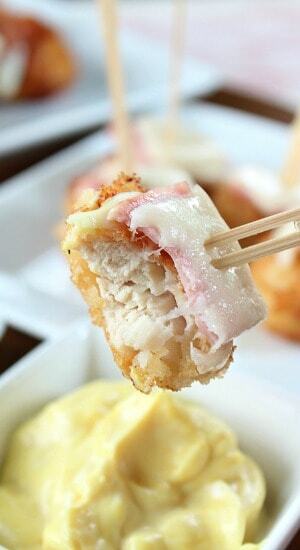 Add a slice of Swiss cheese, then two pieces of ham, then top with another slice of cheese, to each chicken bite. Cover and let cheese melt. You might need to place in microwave, on a microwave safe plate, for 35-40 seconds to melt cheese. 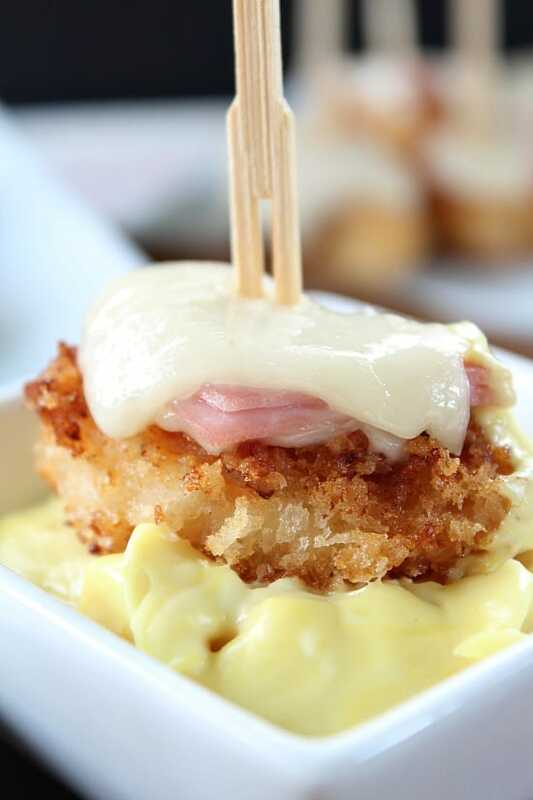 In a small mixing bowl, mix together mayonnaise and mustard. What is “Slap Your Mama” seasoning?